From 1st friday of September, October & March every year. Group Size : Maximum participants in the group is 8. We also provide you with a legal Professional Certificate after completing the course. Details of Aura (energy body) Charkas (energy centers) Nadies (energy channels). How your Aura is related to your physical, mental, emotional and spiritual health. How to scan and diagnose the aura and chakras for illness. How to manipulate energy balance chakras and heal disease in oneself and others. How to meditate by controlling your breath and balance your chakras. 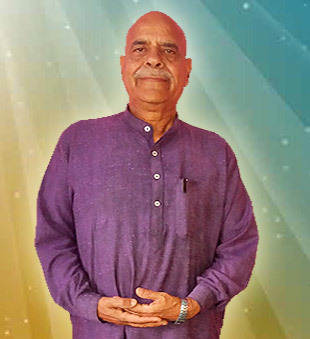 Their teaching is based on Vedic sciences and the latest research from esoteric sciences. Healing techniques are pre-tested on thousands of patients, you only need to learn and apply them, without any side effects. 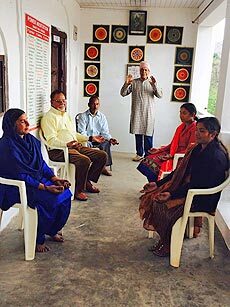 Maa Asho Institute has trained healers from 53 countries, who are using Pranayog healing techniques, from ancient India, for either healing themselves or professionally healing others. Upon completion of the course, you will be provided with a legal Professional Certificate. Born in Port Blair, Andeman and Nicobar islands, she did her Masters degree in Zoology and Bachelors degree in education. She is teaching since 1973. She worked as a Principal in senior Secondary school, Dairy Farm Port Blair and took voluntary retirement in 1997. Since then, she has devoted her life in conducting healing courses and giving healing for various ailments. 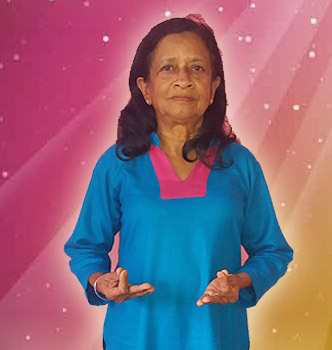 She has the power of clairvoyant and has specialized in the treatment of karmic and inherited and acquired physiological problems. Special home cooked Indian meals are included in our course. Local grown and fresh vegetarian products are prepared daily for you. Very healthy variety and beans, cereals, fruits, vegetables, herbs and spices. Hardesh and Supriti are also specialist in herbs medicine and during the meals they explain the purpose and benefit of every growing plants and seed! Village" by the State Government. Most of the nationalities need a visa for India. If you are coming for 30 days or less you can apply online and get a reply within 48 h usually. Then just print it and show at the border control. very easy. India is a very unique country to visit and to take courses. It has incredible spirituality. It is also the country of contrasts. Be aware that we recommend drinking only bottled water and respect basic hygiene rules. We recommend eating out in touristic indoor restaurants and cafes and for women travelling alone preferably be accompanied if walkings around Himachal Pradesh at nights. Himachal Pradesh is one of the most beautiful, peaceful, clean and touristic region of India. We will be glad to welcome you in our magic place. Retreat Center and check in from 12:00 p.m. onward.